Non-corrosive de-icer developed for the Aircraft and railway industries which work to very low temperatures. It has an even particle size which enables quick and easy spreading. The Viaform is not harmful to humans, animals or plants meaning it can be spread in places with a large amount of wildlife and foliage. 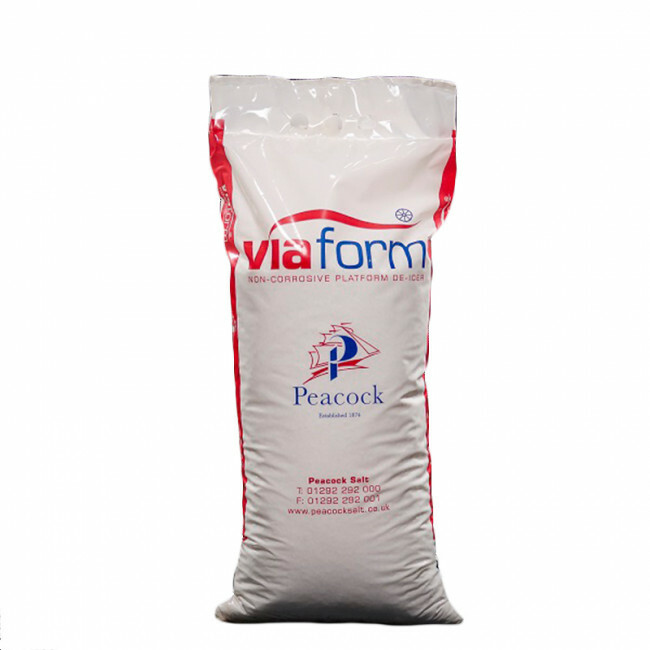 Viaform has lower oxygen demand than urea, glycol and potassium acetate based de-icers. It is not based on any nitrogen salts and will therefore not contribute to eutrophication of lakes and rivers and it does not have the potential to bio accumulate due to the low octane/water coefficient. Supplied in 25 kg bags. Discounts are available on larger quantities.